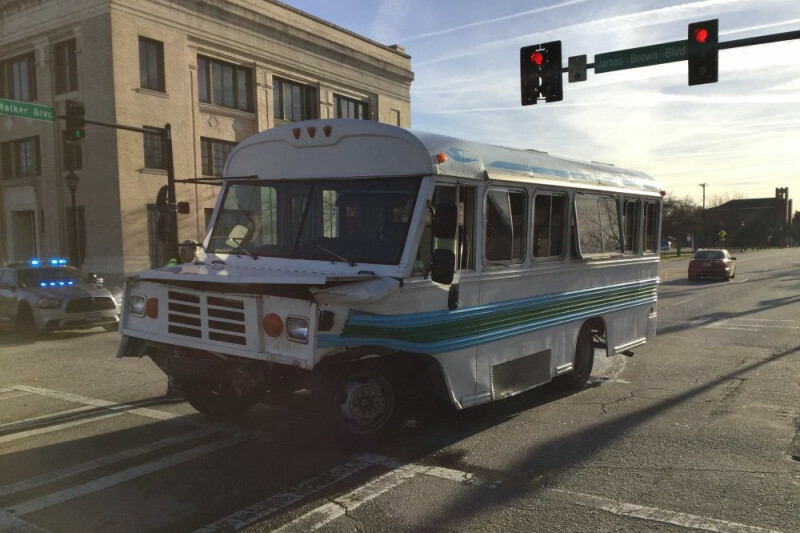 The Trinity CME Church in Augusta "Victory Again Ministry" Church Bus was totaled when a passenger car ran a light and crashed into the bus with 14 passengers on board spinning completely around in the street on Laney Walker Blvd. They were headed to the church for the Saturday ministry. Thankfully, no one was killed though many injured including our faith bus driver. The ministry began back in 2006. Every Saturday (rain or shine), the Trinity CME Church bus goes by the homeless and transitional shelters in Augusta and picks up brother and sisters (who have to be out the shelter) and brings them to the church to feed them a hot breakfast and provide an inspirational worship service by the wonderful Victory Again team of ministers and volunteers who cook the breakfast. In additon, the church also provide access to our clothes closet, a sack lunch as well as toiletries, blankets and other supplies. Most importantly the ministry provides encouragement and hope to these of God's children who are in transition. Many of them are without a permanent residence and no job. God has led us to remind them that they can have Victory Again and again! We are in desperate need of 15 passenger vehicle. We have been renting but we are praying that we can raise the funds to purchase a van with cash and continue this wonderful ministry. The market value of the totaled bus was bare minimum. We are starting from scratch. Would you please consider making a donation of any amount using this GoFundme or you can send a check made payable to Trinity CME Church (note Van Donation) and mail it to Trinity CME Church 2930 Glenn Hills Drive, Augusta, Georgia 30909. We appreciate your continued support and prayers of our ministry.